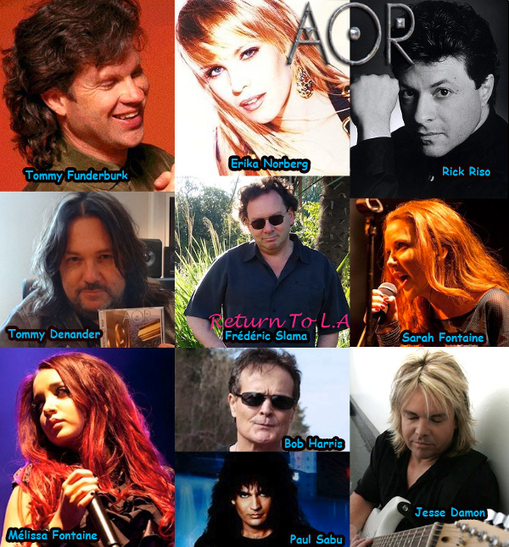 Frédéric Slama's AOR all star project will release their 14th album "Return To L.A" on March 23rd through his own label FS Records. Following "L.A Connection" (2014), the project is back with another masterpiece of Aor music. This new album also features great musicians and singers like Jesse Damon (Silent Rage, Kiss), Tommy Funderburk (King Of Hearts, Airplay), Paul Sabu (Only Child, Kidd Glove), Rick Riso (Chasing Violets), Bob Harris (Axe, Steve Vai), Erika (Yngwie Malmsteen), Sarah & Mélissa Fontaine (Chasing Violets) and many more. 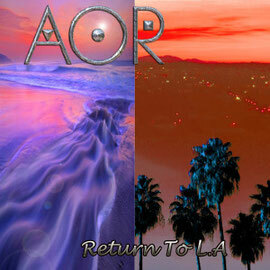 "Return To L.A" is the must-have album for Melodic Rock lovers or fans of the heavier side of Aor in the vein of Survivor, Foreigner, Giant, Journey and Toto.